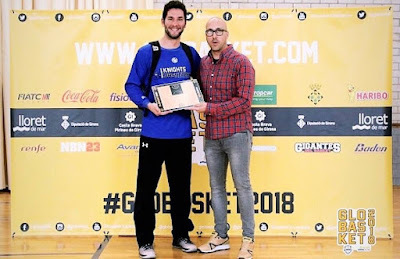 "Very blessed to have been awarded "2018 Globasket Best Coach of the Tournament" last weekend in Barcelona. One of the biggest International tournaments in Europe ! All the staff and players at @knightsbball09 were incredible and made my job easier. Thank you @globasket for another great Tour and hopefully see you soon"